Performance in Houston from October 1981 features hit singles "It's A Long Way There," "Help Is On Its Way," "Happy Anniversary" and "Reminiscing." 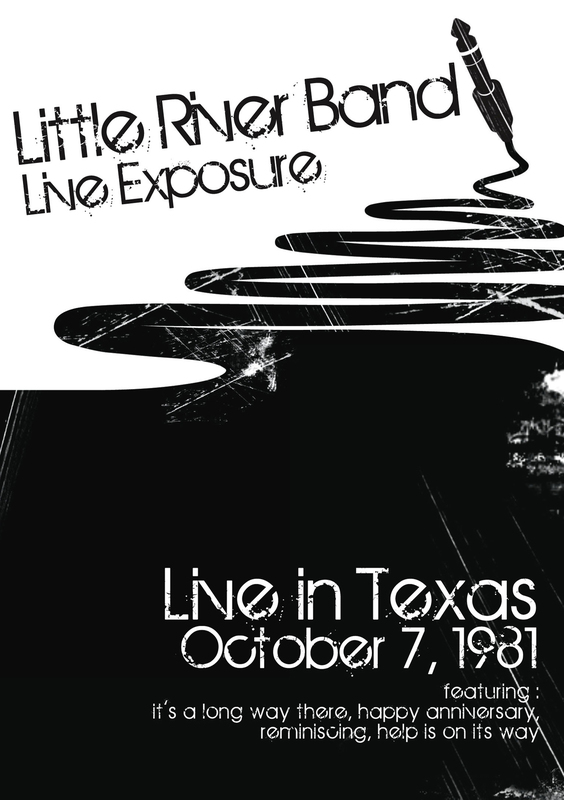 "Live Exposure" features a concert the band played in Houston, Texas in October 1981 - and features US hit singles "It's A Long Way There", "Help Is On Its Way", "Happy Anniversary" and "Reminiscing". An immediate supergroup in their native Australia - Little River Band went on to enjoy success worldwide. Glenn Shorrock, Beeb Birtles and Graham Goble were all well-known, chart hitting musicians in Australia in their own right before coming together in the mid-1970's to form Little River Band. Their country-rock sound, reminiscent of The Eagles, was geared toward American success and they enjoyed the fruits of this with their third album, Diamantina Cocktail, which included the hit single "Help Is On Its Way" - and the follow up album Sleeper Catcher became the first recorded in Australia to hit the number one spot in the US chart. Little River Band were a worldwide success in the second half of the 1970's - scoring 15 hits on the US pop singles chart and nine chart hit albums, and selling over 25 million records worldwide. A version of the band still continues to this day - playing around 100 shows a year across the US to their ever devoted fanbase.